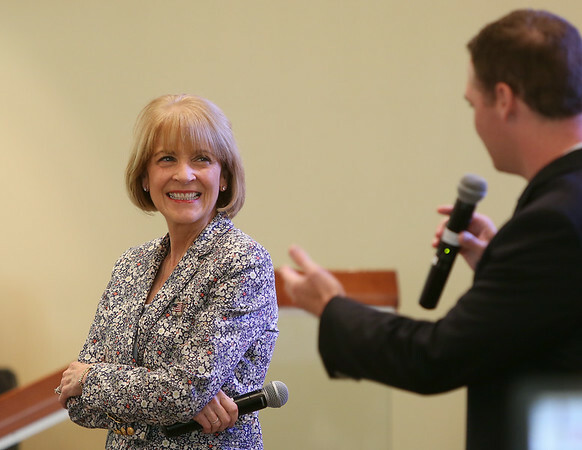 Martha Coakley, who will be running for Governor of Massachusetts, flashes a wide smile while being introduced prior to speaking with residents at Brooksby Village in Peabody on Friday morning. DAVID LE/Staff photo. 8/22/14.